Little Dish turns 10 this year and, to celebrate, the makers of proper food for kids have unveiled a brand new range of healthy chilled toddler meals. Introducing…new Little Dish pots & pies. We’ve teamed up with Little Dish to give away a month’s supply of their delicious and nutritious pots & pies and a Toddler Food Kit packed full of Little Dish goodies to three lucky readers. Little Dish have worked with nutritionist and Mum, Lucy Jones, to ensure that every one of their new pots & pies is perfectly nutritionally balanced for toddlers and carries a special Nutritionist Approved stamp to give parents complete peace of mind. The award-winning Little Dish toddler meals have unrivalled nutritional credentials. The meals are made using 100% natural ingredients, are low in salt and contain no added sugar, additives or preservatives. Every meal provides at least one of a child’s recommended five-a-day, is a source of protein and the meals only ever contain meat from local UK farms and sustainably caught fish. Little Dish pots & pies are perfectly sized for toddlers and contain exciting new tastes, textures and ingredients like black turtle beans, sweet potato, smoked paprika, coconut and turmeric as well as a wide variety of veg – to help young children develop a healthy palate and lay the foundations for healthy-eating habits. Little Dish have also crafted fresh, colourful little dishes that look like home cookware, so parents can feel proud to bring their meals to the family table. Little Dish pots & pies are priced at £2.50 (RRP) and available online or in the Chilled Meals Aisle of all major supermarkets. We’ve got a month’s supply of their must-try pots & pies to give away along with a copy of their brand new toddler nutrition guide – The Great Toddler Food Adventure – which has been created to help parents navigate the transition from purees to proper food. 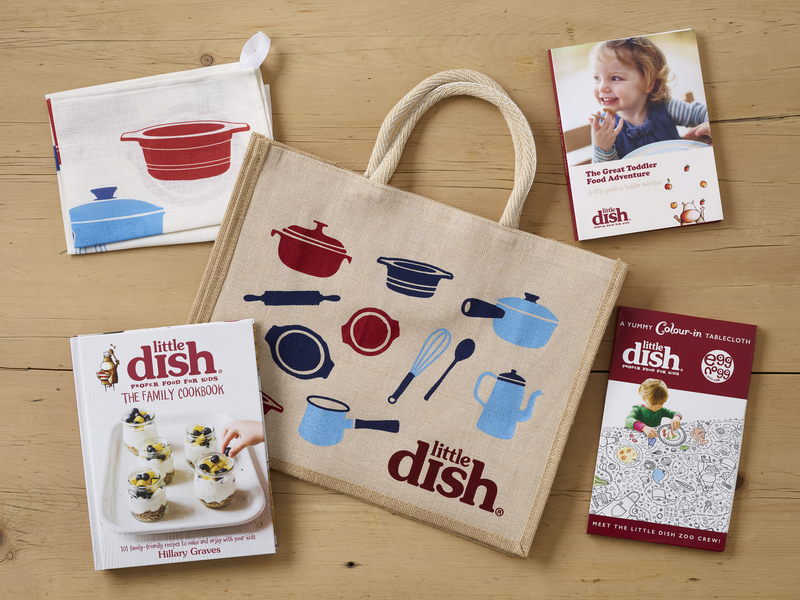 The Toddler Food Kit also contains the brilliant Little Dish Family Cookbook, a stylish 10th birthday tea towel, a limited-edition shopping bag and a colour-in tablecloth to teach little ones about the food they are eating. To enter, simply visit us on Facebook: www.facebook.com/lovedbyparents like the post and write the word, ‘Little Dish’ underneath the the competition post. Terms and Conditions:Entrants can enter as many times as they would like. One winner will be selected at random to win the prize stated above. The winner has 14 days to claim their prize or another winner will be selected. Competition closes at midnight on the 13th October 2016. Previous article Win a Justin’s House Playset!